Stanford University, B.A. & J.D. Brooksley E. Born is an American attorney and former public official who, from August 26, 1996 to June 1, 1999, was chairperson of the Commodity Futures Trading Commission (CFTC), the federal agency which oversees the futures and commodity options markets. During her tenure on the CFTC, Born lobbied Congress and the President to give the CFTC oversight of off-exchange markets for derivatives in addition to its role with respect to exchange-traded derivatives, but her warnings were opposed by other regulators. Born graduated from Abraham Lincoln High School (San Francisco, California) at the age of 16. She then attended Stanford University, where she majored in English and graduated with the class of 1961. She initially wanted to pursue a career in medicine. However, the guidance counseling service at Stanford opposed this, as it was their stated opinion that a woman who was interested in becoming a doctor, instead of the more suitable career of a nurse, was merely materialistic and had no sincere interest in healing. She then attended Stanford Law School, one of only seven women in her class. She was the first female student ever to be named president of the Stanford Law Review and is sometimes credited with having been the first woman in American history to hold the editorship of a major law review. She received the "Outstanding Senior" award and graduated at the top of her class in 1964. Immediately after law school Born was selected as a law clerk to judge Henry Edgerton of the U.S. Court of Appeals for the District of Columbia Circuit. Following her clerkship, she became an associate at the Washington, D.C.-based international law firm of Arnold & Porter. Born was attracted to Arnold & Porter because it was one of the few major law firms to have a woman partner at that time, Carolyn Agger, who was the head of the tax practice. Born took a two year leave of absence from Arnold & Porter to accompany her first husband to Boston, where he had received a fellowship. During that time she worked as a research assistant to law professor Alan Dershowitz. Born's early career at Arnold & Porter focused on international trade law, in which she represented a number of Swiss industries and the government of Switzerland. She developed a practice representing clients in numerous complex litigation and arbitration cases involving financial market transactions. Among her high-profile cases was the matter of the Hunt Brothers attempt to corner the market in silver in the 1970s. She made partner at Arnold & Porter and eventually rose to be the head of the firm's derivatives practice. In 1993 Born's name was floated as a possible candidate for Attorney General of the United States, although ultimately Janet Reno was nominated. Born was appointed to the CFTC on April 15, 1994 by President Bill Clinton. Due to litigation against a company called Bankers Trust by major corporate clients, Born and her team at the CFTC sought comments on the regulation of derivatives, a first step in the process of writing comprehensive regulations. Born was particularly concerned about swaps, financial instruments that are traded over the counter between banks, insurance companies or other funds or companies, and thus have no transparency except to the two counterparties and the counterparties' regulators, if any. CFTC regulation was strenuously opposed by Federal Reserve chairman Alan Greenspan, Treasury Secretaries Robert Rubin and Lawrence Summers. On May 7, 1998, former SEC Chairman Arthur Levitt joined Rubin and Greenspan in objecting to the issuance of the CFTC’s concept release. Their response dismissed Born's concerns off-hand and focused on the possibility that CFTC regulation of swaps and other OTC derivative instruments would increase legal uncertainty of such instruments, potentially creating turmoil in the markets, and reducing the value of the instruments. Further concerns voiced were that the imposition of new regulatory costs would stifle innovation and push transactions offshore. An economic and financial crisis affected US and world markets in 2008. As it gained momentum, newspapers began reporting on some of its possible causes, including the rejection of the CFTC's proposals and the adversarial relationship Greenspan, Rubin and Levitt had with Born. The disagreement has been described not only as a classic Washington turf war, but also as a war of ideologies as Greenspan and highly placed Clinton administration officials believed that, in large measure, the capital markets could be trusted to regulate themselves. Born declined to publicly comment on the unfolding 2008 crisis until March 2009 when she said: "The market grew so enormously, with so little oversight and regulation, that it made the financial crisis much deeper and more pervasive than it otherwise would have been." She also lamented the influence of Wall Street lobbyists on the process and the refusal of regulators to discuss even modest reforms. An October 2009 Frontline documentary titled "The Warning" described Born's failed efforts to control regulation of and bring transparency to the derivatives market, and noted the continuing resistance thereto. The program concluded with Born sounding another warning: "I think we will have continuing danger from these markets and that we will have repeats of the financial crisis -- may differ in details but there will be significant financial downturns and disasters attributed to this regulatory gap, over and over, until we learn from experience." In 2009 Born, along with Sheila Bair of the FDIC, was awarded the John F. Kennedy Profiles in Courage Award in recognition of the "political courage she demonstrated in sounding early warnings about conditions that contributed to the current global financial crisis". According to Caroline Kennedy, "...Brooksley Born recognized that the financial security of all Americans was being put at risk by the greed, negligence and opposition of powerful and well connected interests... The catastrophic financial events of recent months have proved them [Born and Sheila Bair] right. Although their warnings were ignored at the time, the American people should be reassured that there are far-sighted public servants at all levels of government who act on principle to protect the people’s interests." Born was among the first female attorneys to systematically address inequities regarding how the laws treated women. 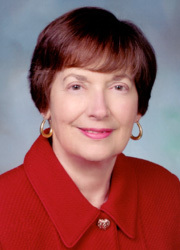 Born and another female lawyer, Marna Tucker, taught what is considered to have been the first “Women and the Law” course at Catholic University’s Columbus School of Law. The class exclusively concerned prejudicial treatment of women under the laws of the United States, past and present. Born and Tucker were surprised to discover that there was no textbook on the issue at the time. Born is also one of the co-founders of the National Women's Law Center. During her long legal career, and into her retirement, Born did much pro bono and other types of volunteer work. She was active in the American Bar Association, the largest professional organization of lawyers in the United States. Initially Born was named a member of the governing council of the ABA's Individual Rights Section, eventually becoming Chairperson. Born and Tucker founded the ABA Women's Caucus, the first organization of female lawyers in the ABA. She held several other senior positions in the ABA, including being named the first woman member of the ABA’s Standing Committee on the Federal Judiciary. As a member of the Judiciary Committee, Born provided testimony and opinion on persons nominated for federal judgeships. In 1980 she was named Chair of the committee. As Chair of the committee, Born was invited to address the U.S. Congress regarding the nomination of Judge Sandra Day O'Connor to the U.S. Supreme Court. Born is married to Alexander E. Bennett (also retired from Arnold & Porter). She has five adult children - two from a previous marriage to Jacob Landau and three stepchildren. Notably, Born was named a partner at Arnold & Porter while working part time so she could raise her two young children. When both of her children were school-age, Born returned to practice full-time. "The story of one women who tried to warn about the threat to the financial system.. and nobody listened.. [Born said] we are trying to protect the money of the American public... [SEC Chair Arthur Levitt] I was told she was difficult, stubborn, unreasonable...she warned of the dangers and that made her the enemy of a very large number of people... they in fact shut her up and shut her down"
"[Ayn Rand said] I am opposed to all forms of control, I am for absolute laissez-faire free unregulated economy, I am for the separation of state and economics... [Greenspan said] Ayn Rand became a stabilizing force in my life"
"[They Stopped her entirely.. because you have not played ball we are now declaring a regulatory freeze on anything you can do in this market, forget it - you are done... and because of that she had done what she could to help protect the public and there was not much left for her to do ]"
The message in this video shows us that the world systems are not working -- we have a failure in our system -- a failure of our politicians, our corporate leaders and our government heads in not acting in the interests of the people. Unfortunately the video does not send the proper message on how to fix the problems. The message it sends is that regulation and big government is the solution. They are wrong!! The answer is not more regulation or bigger government. The solution is to change our attitude -- change the will of the people. This can be accomplished by understanding FREEDOM and the FREEMAN PRINCIPLES guiding the Freeman and the Freewoman. We continue to make the same mistakes -- relying on Free Market Principles to solve our problems and if that does not work we switch to government and regulation begging them to help solve the mistakes of the capitalists! This seesaw will not solve our problems -- it only permits a different group of people to obtain power. THIS IS NOT THE ANSWER. PLEASE STOP THE MADNESS. The answer lies in searching for your ONE and to deal with the Truths that are always present. Can man not be truthful?? We need to free ourselves and to take responsibility for our actions. Can we not do what is right -- without further imprisoning ourselves with regulation and more free market priniciples that will not address the moral decay and the dishonesty present everywhere. FIND YOUR ONE and FREE YOURSELVES! !